Military officials of southern African countries have been in the troubled Democratic Republic of Congo (DR Congo) on a fact-finding mission since Friday amid a lull after the recent conflict between the government army and Tutsi rebels. Inspector General of the Congolese National Police John Numbi said military officials of the Southern African Development Community (SADC) visited the displaced at the Kibati camp on Sunday. The camp, a dozen kilometers away from Goma, capital of the eastern province of North Kivu, had once been vacated in panic as the rebel National Congress for the Defense of the People (CNDP) forced the FARDC (government forces) to retreat late last month. Numbi , who was among the SADC delegation, told a press conference in Goma that the objective of the mission was to evaluate the conditions of the displaced in the region so as to have an intervention plan in their favor. An estimated 250,000 people have been displaced in the clash since late last month, posing a danger of humanitarian disaster. 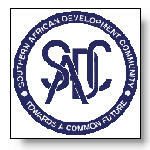 The SADC held a summit last month in Swaziland, vowing to support the DR Congo in defense of its territorial integrity. South African President Kgalema Motlanthe, whose country holds the rotating chair of the regional bloc, announced that the SADC Military Monitoring Commission would be dispatched to the DR Congo to monitor its border with Burundi, Rwanda and Uganda. A lull was reported after the CNDP began a pullback last week from Kanyabayonga and Rwindi at the order of its leader Laurent Nkunda, who pledged to make way for UN peacekeepers and aid workers, but threatened to return if the FARDC should make a comeback. The United Nations has decided to add 3,100 troops to its 17,000-strong peace mission in the DR Congo known as MONUC, the ever largest deployed in a country by the world body. Earlier in the month, a UN-backed African summit was opened in Nairobi, Kenya, where UN Secretary-General Ban Ki-moon said the international community would never allow another Congo war to topple the stability in the Great Lakes region. The Congo war between 1998 and 2003 embroiled several countries including Angola, Zimbabwe, Rwanda and Uganda. More than 5 million people died in the bloodshed.